Refuges for vulnerable women from Enfield have been given a major cash boost following the start of this year's White Ribbon movement. Enfield Council has been awarded access to more than £700,000 from the government to help domestic abuse survivors rebuild their lives. The funding supports safe accommodation and domestic abuse support services. The Ministry of Housing, Communities and Local Government’s Domestic Abuse Fund for refuge and accommodation support has given Enfield Council £122,658 which will help towards eight refuge spaces at Enfield Women’s Muslim Aid. In addition Enfield Council will have access to a pot of £599,135 awarded to Camden along with four other London-based local authorities. The Camden-led project in Enfield will be run by Solace Women’s Aid. 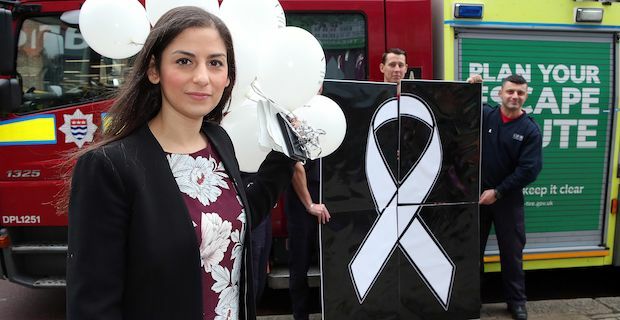 The news comes as Enfield Council embarks on its 16 days of action to mark the White Ribbon UK movement. The Council hosted a White Ribbon Day Conference on Friday 23 November where guest speakers included representatives from Solace Women’s Aid and the Metropolitan Police, Enfield Council’s Leader Cllr Nesil Caliskan and Cllr Keazor. There was also a special performance on how domestic abuse can happen to anyone, by the renowned Chickenshed Theatre. Cllr Keazor said: “Enfield Council proudly supports the White Ribbon Pledge where we ask everyone to stand up against domestic violence. In addition, it has been an extraordinary year where the #MeToo campaign has shone a light on abuse that is suffered by many women in the workplace and at home. If anyone you know is suffering, we would urge you to help them to take action. Coinciding with the 16 days of action, Enfield Council’s Children and Family Services team will be holding a Practice Week, with a focus on domestic abuse and the impact on children and young people. Practice Week is when social workers and senior managers across children’s services engage in a range of activities aimed at raising awareness and increasing understanding. It will involve training events, reflective forums and senior managers visiting families alongside workers to see and understand for themselves how social workers help families. The White Ribbon movement was founded in 2005, with an aim to end male violence against women. 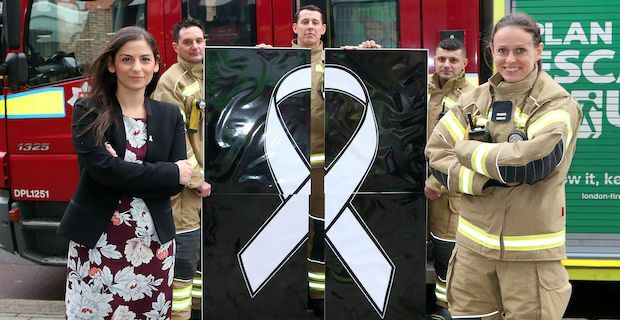 Enfield Council was the first London borough to achieve White Ribbon status, in 2010. The 25 November is designated by the United Nations General Assembly as the International Day for the Elimination of Violence Against Women. On this day until 10 December men are asked to wear a white ribbon and to pledge to never commit, excuse or remain silent about male violence against women. To watch Enfield Council’s video marking White Ribbon Day, please go to our YouTube Channel. For information on domestic abuse and how to seek help, go to www.enfield.gov.uk/dv.